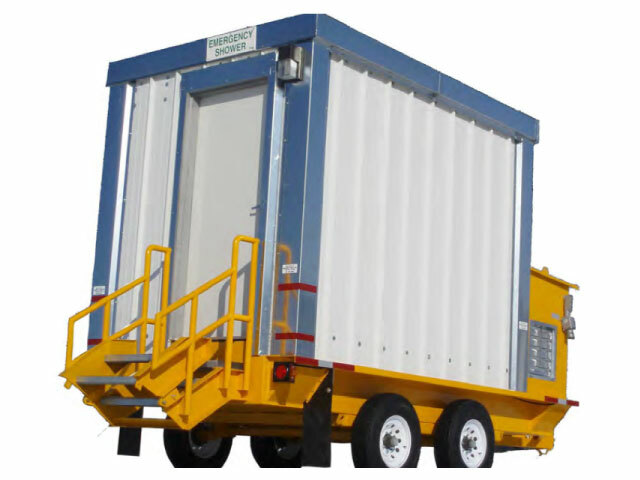 Emergency Shower Trailer | Equipment Source Inc.
FOR WORKSITE SAFETY. 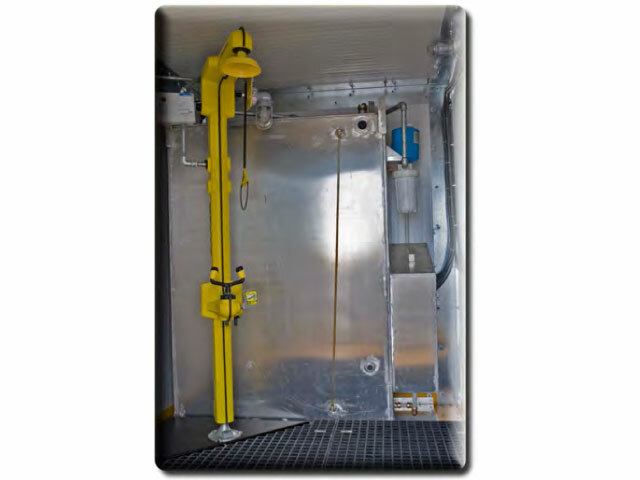 This vital safety precaution unit contains a 400 gallon water tank kept heated by a 500 watt submersion heater to ensure that when an emergency arrises, your job site is prepared, no matter the temperature. The water is delivered through a therma-flow freeze protected shower at a rate of 30 gallons per minute and runs off into a 500 gallon tank.